Yuvraaj and Sharad come there, and Sharad asks Pankaj to meet Suhani quickly. Dadi asks Sharad not to keep much pressure on anyone. Yuvaan says he wants to meet mum. Bhava says he is coming. Rags say if the maid is caught, I will be done for and says maid will not say a word. Maid puts oil on the floor and says Suhani has come. Suhani walks and doesn’t fall. Soumya and Rags look on. Door bell rings, and Soumya goes and sees Sambhav. She slips and Sambhav holds her. Everyone look on and petals fall on them as Maid puts the leaves. Yuvaan runs to Sambhav and hugs him; Yuvaan introduces Sambhav to all. Yuvraj asks how is he related and Suhani says he has helped us for the last six years and is more like a family member now. Dadi asks the arrange a room for a guest and Suhani says he will stay with me in the outhouse, and Dadi says my house my rules. Sambhav cools them down and Thanks Soumya for calling him. Menka says to Rags that there is too much drama going on in the house. Soumya says Yuvaan was missing Sambhav, and she called him. Sambhav says good, and Yuvaan hugs him. Suhani goes to the outhouse with Sambhav and asks why is he here, and he takes her pic and says he has come to see the look on her face. She says thisn;t their house to keep him there and Sambhav says you can keep Shard and Bhavna here and says even I am like your family member now. Yuvraaj gets angry and Pratima what’s wrong with him and says just like Yuvraaj she too might be thinking of a second marriage. Yuvraj says he will not share Yuvaan’s love with anyone. Sambhav says this true that you are Yuvraj’s wife and Yuvaan is your son? Suhani says yes and says it is her personal life and asks why did he come here. She asks Sharad to be calm and Sambhav says he was missing all of them. Sambhav says the situation isn’t complicated because of him and says its already complex. Dadi and Pratima say we must get out of this complication first. Dadi says she will tell Sambhav that Yuvaan is his son. Yovani asks who is he and Yuvaan says he is my dad, and it was kept a secret. Rags smiles are hearing it. Dadi appreciates Soumya for her idea and Soumya says she can’t see her family fall apart. Dadi says yes, you are right. Sambhav throws a towel on Dadi and snaps a pic and Dadi asks him to be in limits. She says she will not allow anyone to come in between Yuvaan and Yuvraaj. Sambhav what’s there in between them? Dadi leaves angrily, and Bhavana tells Pratima there is nothing between Suhani and Sambhav. He just helped her a lot. Pratima says but Dadi won’t understand and asks her to explain the issue when needed. 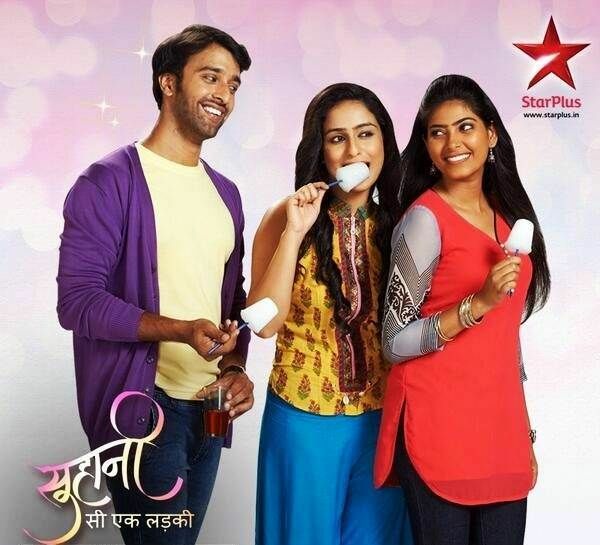 Suhani and Yuvraaj are looking for Yuvaan and collide. He scolds her and even hurts her by holding her hands. She asks him to get some manners and asks him to behave like a father but not like a jallad. He leaves angrily.